For Aluminum, Painted Surfaces and More. 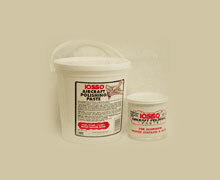 This specially formulated paste will clean, remove oxidation and restore luster to aluminum and painted surfaces. It contains no abrasives or corrosives. 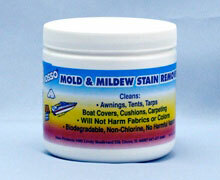 IOSSO Aircraft Paste cleans, polishes and leaves a protective coating in a single application. It contains no waxes, silicon or polymers, therefore, it leaves no unsightly swirls, cattails or wax build-up. IOSSO leaves no residue or foreign matter that would restrict repainting or refinishing. 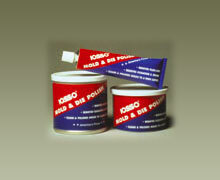 The IOSSO Aircraft Paste is impervious to most fuels, oils, and hydraulic fluids. It is unequaled in removing and preventing build-up of hydrocarbon exhaust stains and jet blasts on exterior surfaces of all aircraft. It is excellent for use on leading edges, spinners, windows, galleys, lavatories and hardware.Conforms with AMS 1650A, Type II Polish, and CSD #1 Type V Materials & Procedures. For Aluminum, Painted Surfaces and More. 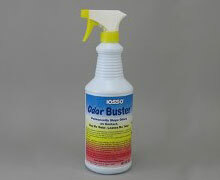 This specially formulated paste will clean, remove oxidation and restore luster to aluminum and painted surfaces. It contains no abrasives or corrosives. IOSSO Aircraft Paste cleans, polishes and leaves a protective coating in a single application. It contains no waxes, silicon or polymers, therefore, it leaves no unsightly swirls, cattails or wax build-up. IOSSO leaves no residue or foreign matter that would restrict repainting or refinishing. The IOSSO Aircraft Paste is impervious to most fuels, oils, and hydraulic fluids. It is unequaled in removing and preventing build-up of hydrocarbon exhaust stains and jet blasts on exterior surfaces of all aircraft. 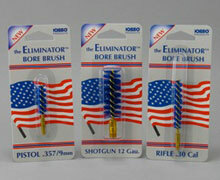 It is excellent for use on leading edges, spinners, windows, galleys, lavatories and hardware. Conforms with AMS 1650A, Type II Polish, and CSD #1 Type V Materials & Procedures. Available in one pound, 5 pound, and 5 gallon sizes.